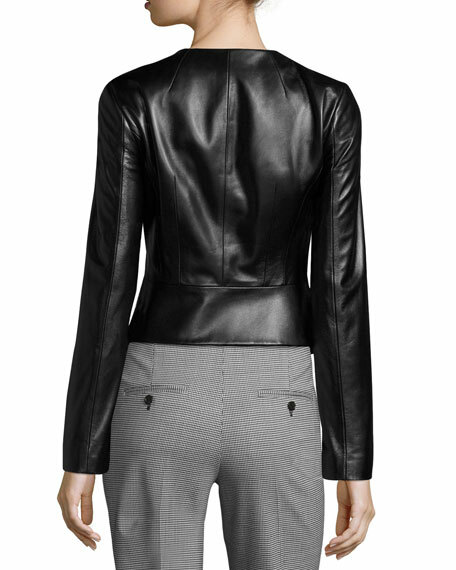 Michael Kors Collection modern plongé lambskin leather jacket. Round, collarless neckline; half-zip front. For in-store inquiries, use sku #2164289.